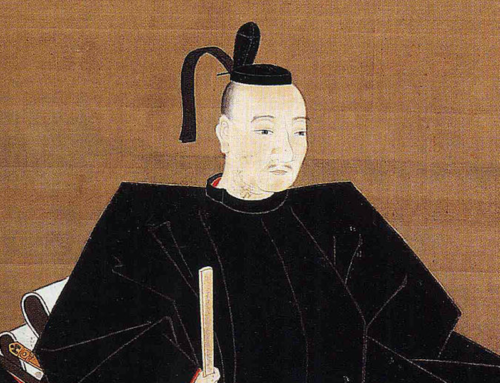 Tokugawa Hidetada was born the third son of Tokugawa Ieyasu, on May 2, 1579. Shortly after his birth, Ieyasu’s first son and wife were executed having been accused of plotting to assassinate Oda Nobunaga. 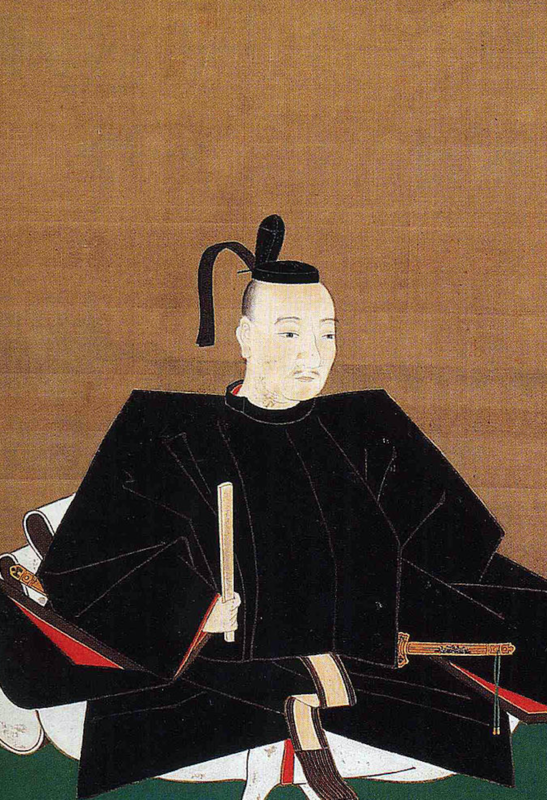 Ieyasu’s second son had been adopted as an infant by Toyotomi Hideyoshi, a Machiavellian way of ensuring peace between the two clans, making Hidetada his remaining heir. Hidetada’s mother died of a sudden illness in 1589 when he was ten, and so he was raised by one of Ieyasu’s concubines, Achaa no Tsubone. 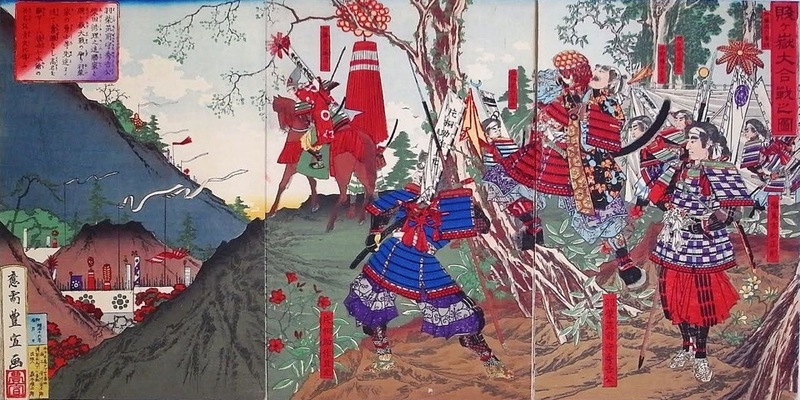 The following year, the 11-year-old Hidetada was sent as a hostage to Toyotomi Hideyoshi during the attack on the Hojo clan in the Siege of Odawara. 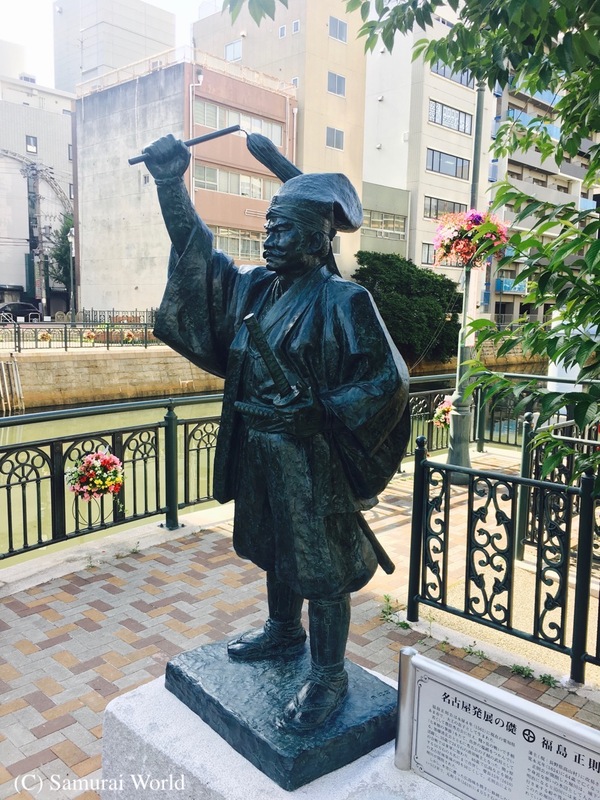 The Tokugawa and the Hojo had once been on friendly terms, and in an effort to maintain his “loyalty”, Hideyoshi had taken the young Hidetada, as well as offering his father the eight Kanto Provinces, including Edo. During his time as hostage, Toyotomi Hideyoshi held the boy’s Genpuku, or Coming Of Age ceremony. Hidetada also married while being held hostage. The first time was in 1590 to Oda Nobukatsu’s daughter, O-hime, who had been adopted by Hideyoshi. However, O-hime died a year later. 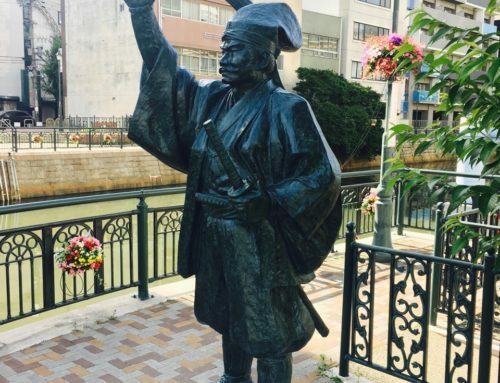 Hidetada was freed in 1593, and joined Ieyasu in Edo. At Fushimi Castle in 1595, Hidetada would marry Oeyo, a daughter of Azai Nagamasa who had also been adopted by Hideyoshi. Together, they had four children, Tokugawa Iemitsu, Tadanaga, and two girls Sen-hime and Kazuko. 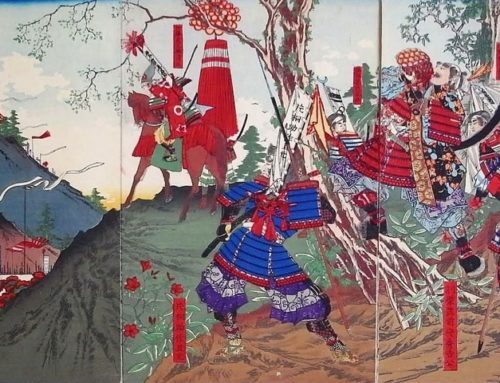 In 1600, just prior to the Battle of Sekigahara, Ieyasu ordered his son and an army of around 30,000 to attack the Uesugi in the northern districts, and then to take the Nakasendo route to Sekigahara. En route, Hidetada laid siege to Ueda Castle, held by the Sanada clan. 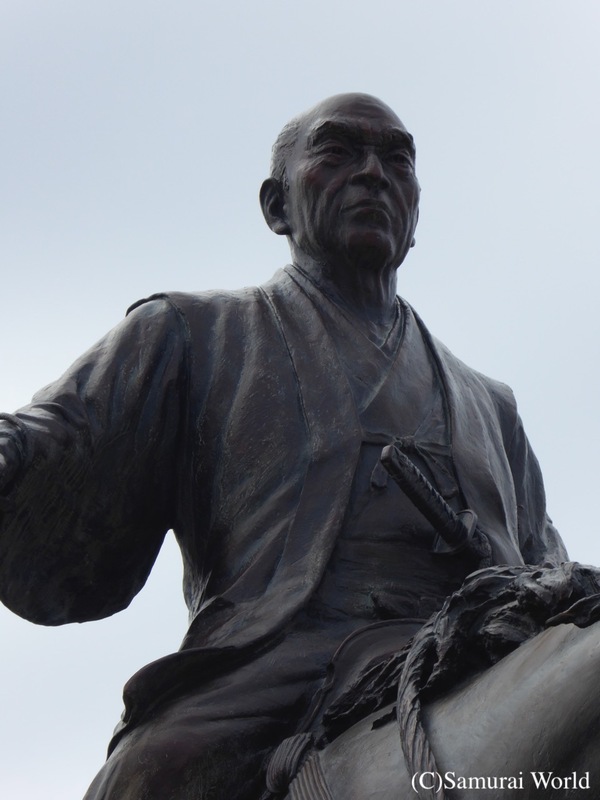 For the second time, the Sanada repelled the invading Tokugawa forces, and by the time Hidetada disengaged, and made his way to Sekigahara, he was too late. The battle had ended hours before he and his army arrived. 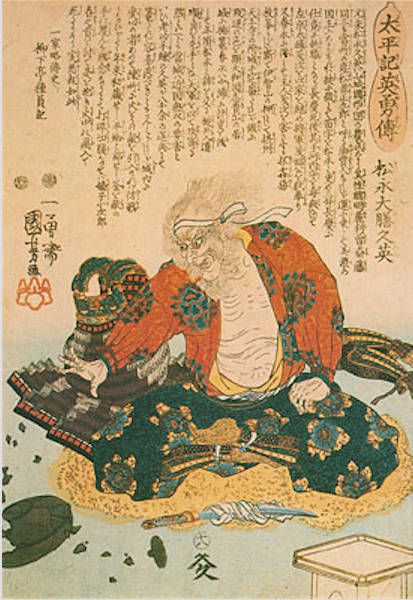 Ieyasu was furious with his son, and refused to greet him, further straining relations between them. 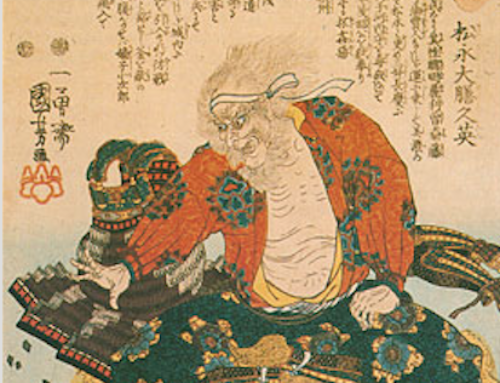 Ieyasu was made Shogun in 1603, and retired in 1605, making Hidetada the second Tokugawa Shogun, however, Ieyasu retained significant political control until his death in 1616. 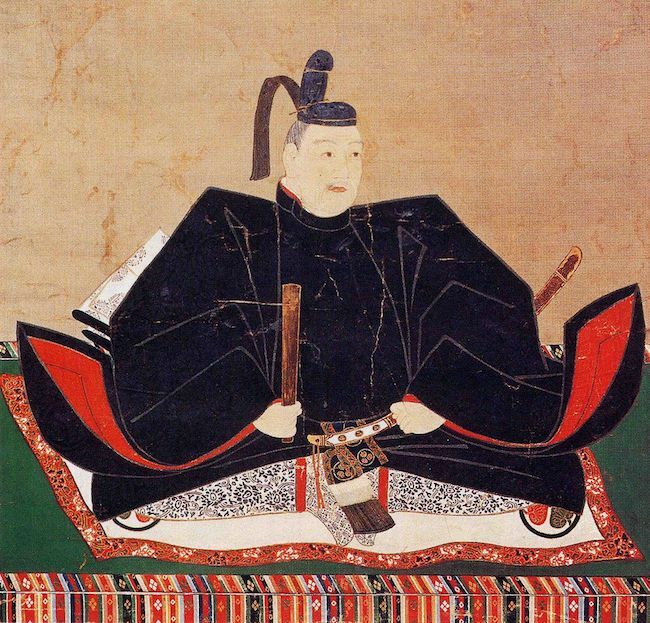 In 1612, Hidetada organized the marriage of his daughter, Ieyasu’s favorite granddaughter, Sen-Hime to Toyotomi Hideyoshi’s son, Hideyori, much to Ieyasu’s chagrin. 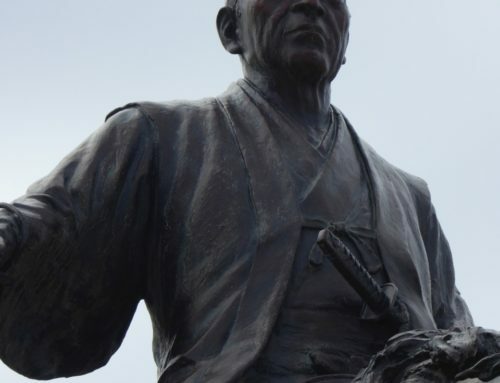 The Tokugawa would soon make moves to completely destroy the rival Toyotomi, attacking Osaka and forcing the deaths of Hideyori and his mother. Only Sen-hime was rescued. She would later marry into the Tokugawa-loyal Honda clan. Hidetada’s other daughter, Kazuko, would be married to the Emperor Go-Mizunoo. Their daughter would become Empress Meisho. Hidetada would retire from the office of Shogun in 1623 in favor of his son, Iemitsu, and passed away 9 years later in 1632. His remains were buried in his specially built mausoleum, the Taitoku-in, within the Tokugawa burial grounds at Zojo-ji Temple in Edo.